''Presidency has ordered EFCC to detain Fayose indefinitely'' PDP alleges as his tenure ends tomorrow - SWANKYLOADED OFFICIAL BLOG. 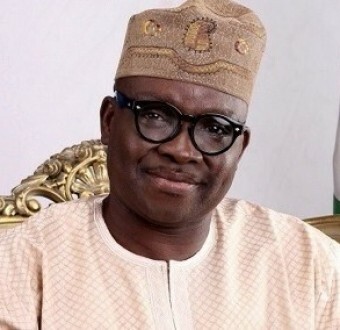 The Peoples Democratic Party (PDP) has alleged that the Presidency has directed the Economic and Financial Crimes Commission (EFCC) to incarcerate, indefinitely, the outgoing governor of Ekiti State, Ayo Fayose. Fayose's tenure ends tomorrow October 16th. He left the state today to appear before the antigraft agency where he will be questioned on allegations of misappropriation of public fund while he was in office.